Discover the charm of the traditional Ohio Trail block in this simple yet dramatic quilt. 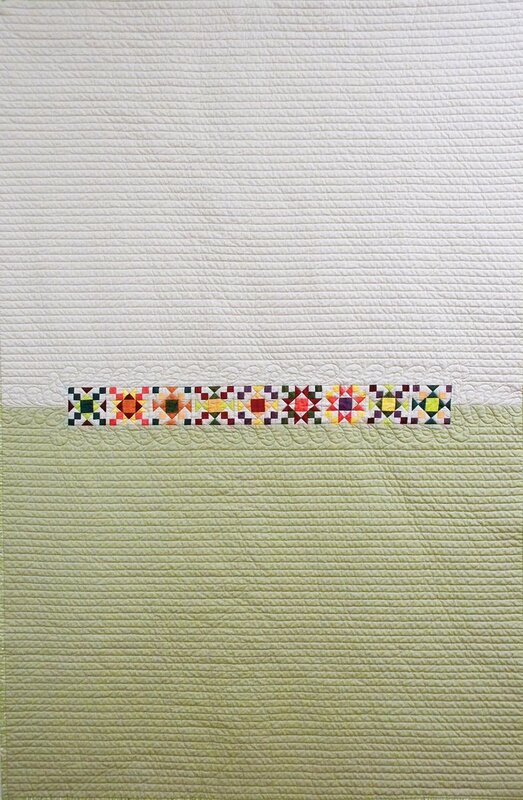 Parallel quilting lines fill the negative space and emphasize the center row of miniature 3” blocks. Make each block unique through color and value placement while learning techniques for precision piecing these “small but mighty” blocks. The piecing techniques you learn in class are applicable for all types of patchwork. Alternate block placement and tips for quilting parallel lines with a walking foot are presented. Pattern fee $8, payable to Pam in class.